This conversion required a lot of extra work, mainly due to the bow porting. It isn't perfect, but it sure deserves a release. You can see the bow issue in the 3rd screenshot. MEGA Link for non-STEAM users. Please read the Troubleshooting below before posting about any issues you may fond. 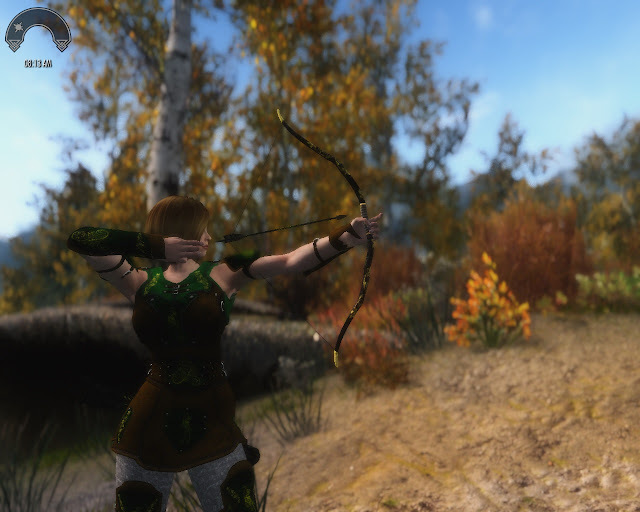 This MOD ports the beautiful Elfaron MOd equipment from Oblivion, created by groundmammal. According to the author, this rare set was created for an Elven Princess using the finest leather and mithril. Original MOD here. It is divided in two clothing parts: Armor and Tiara, with Bow/Arrows and Two swords. You can craft 30 arrows using 3 Firewood and 3 Moonstone (Elven Smithing Perk needed). You can temper the Armor using Moonstone, Silver, Quicksilver and 4 Leather. You can temper the Bow using 2 Moonstone. You can temper the Sword using Moonstone and Quicksilver. Please add suggestions to improve this MOD in the comments below. - This is not a final release. It is ready to play and could need some adjustments according to the feedback I receive. - The outfit is rigged to an UNP body, but it should work on any body type. - Has _0 and _1 weights, and ground models, except the weapons. - The original version uses 2K textures. The textures were were reduced to 1k then optimized using SMCO tool for less VRAM usage and less FPS drop. - Some chainmail parts were removed from the original MOD, only the bottom part (pants) remain. Problem: the bow/arrow isn't correctly aligned/positioned in 3rd person view. Solution: yes, this is a problem indeed; I've tried several approaches to solve the issue, but I simply can't make the bow/arrow porting perfect and couldn't find the answer anywhere. Hopefully someone can help me solving this bug. Problem: I can't find the chest on Roadside Ruins. Solution: some MODS can change the grass/plants or give a small terrain bump. 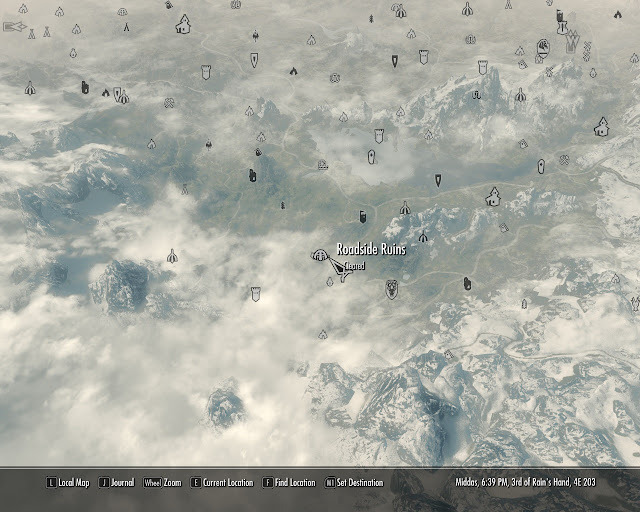 The idea to bury the chest there was to be near as possible to the original MOD pickup location (near to Shadow's Rest Cavern, close to Skyrim/Hammerfell border), but I can change the pickup location if needed. And (of course) Bethesda for the TES series and for the Creation Kit.